Home Buying Scenario #1. Placing an offer without being pre-approved on a mortgage. You’re out looking at homes. You find the perfect house and work out a deal with the Seller. Then you apply for a mortgage. Three weeks later, the lender informs you that the house is $10,000 over what you qualify for and does not approve your loan. The Seller has already bought another house. You’ve given notice where you’re renting and told all your friends about the great house you bought. And then, there’s the money you’ve already spent on inspections on a house you can’t own. If you can not come up with the shortfall you won’t be able to complete the transaction and also could loose your deposit. Home Buying Scenario #2. 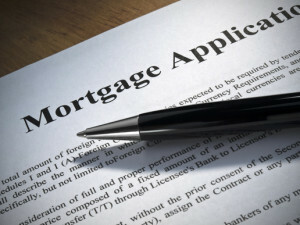 Placing an offer without being pre-approved on a mortgage. You and your REALTOR® have been working diligently finding that “perfect” home. A new listing comes on the market that’s priced right and has got everything you’ve been looking for. You write an offer. Your REALTOR® takes it to the listing REALTOR® and is informed that another offer is coming in and will have to present both offers simultaneously to the Seller. The other Buyer is pre-approved for his loan. Whose offer do you think the Seller will negotiate first?? Should You Get Pre-Approved for a Mortgage First? Most Definitely!